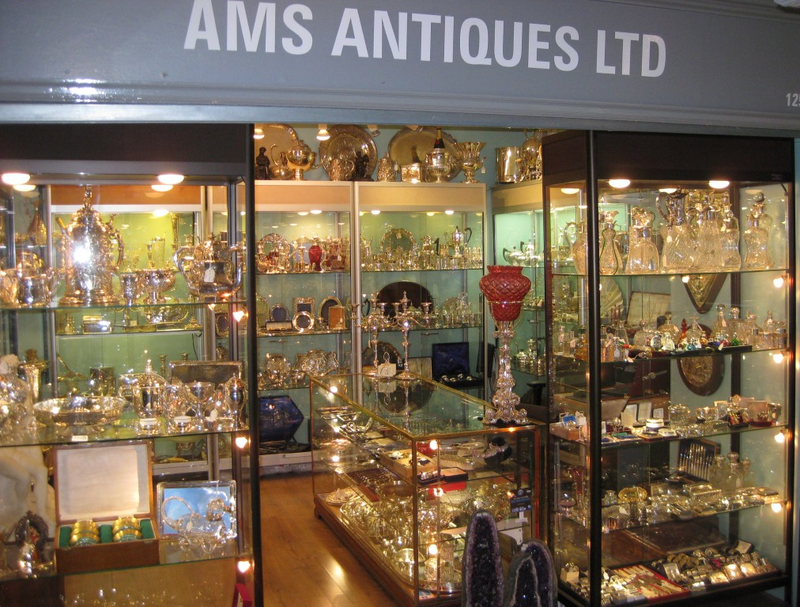 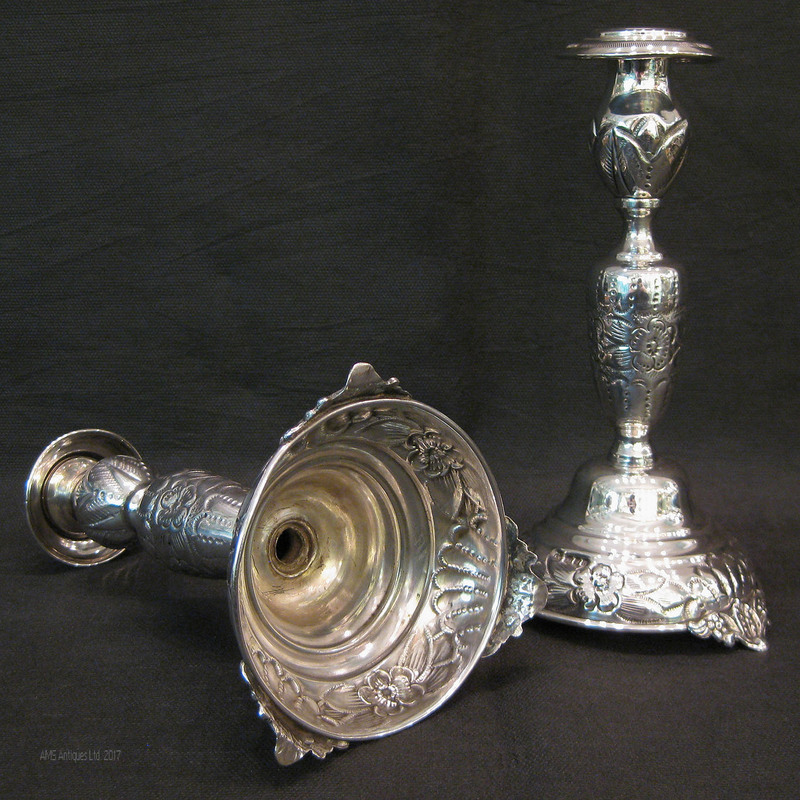 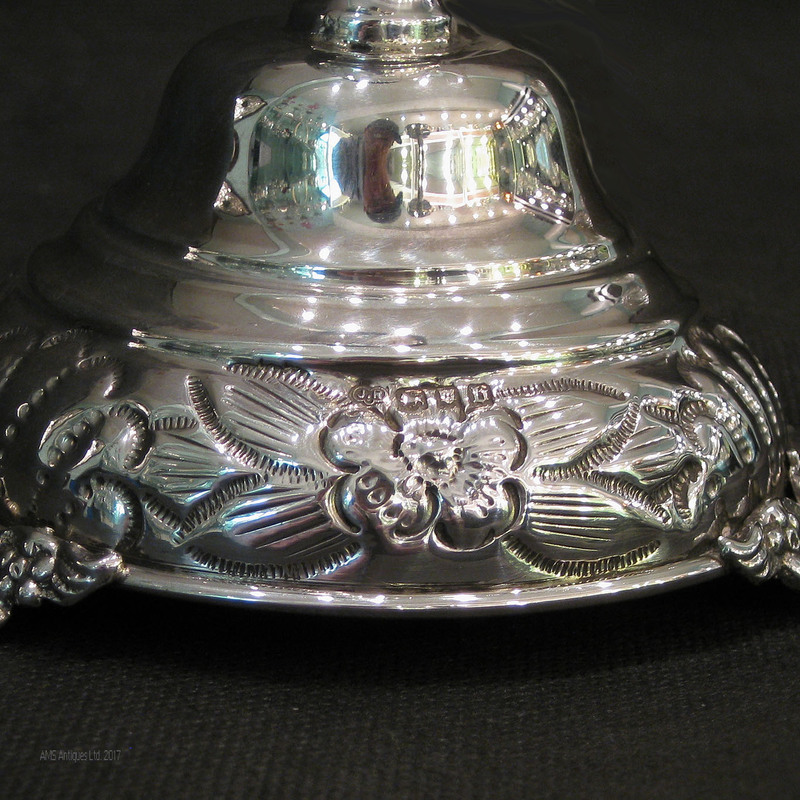 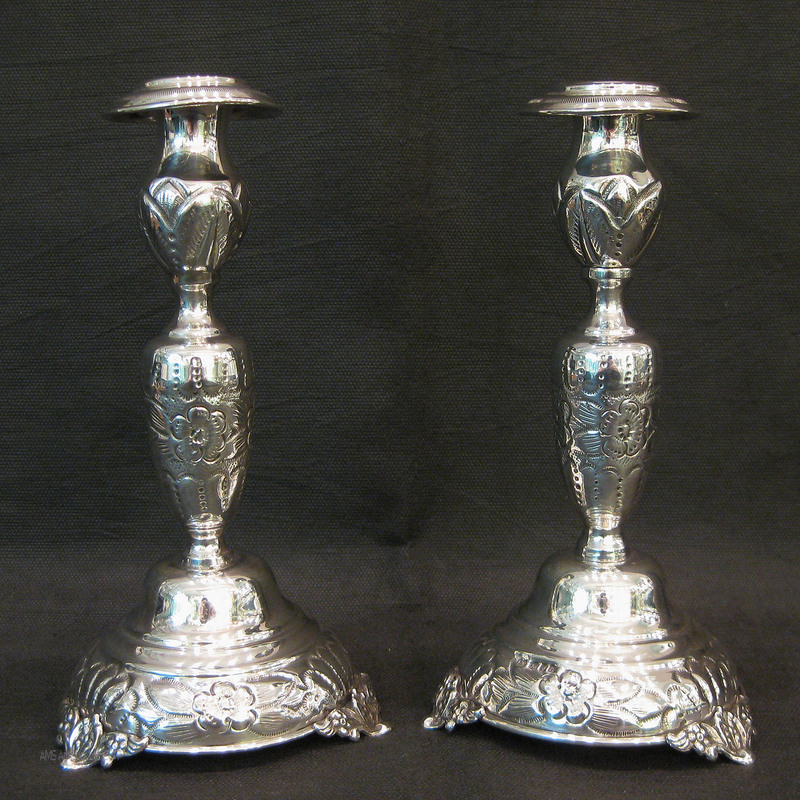 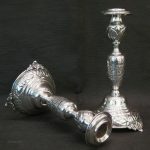 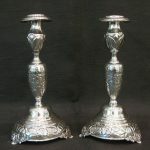 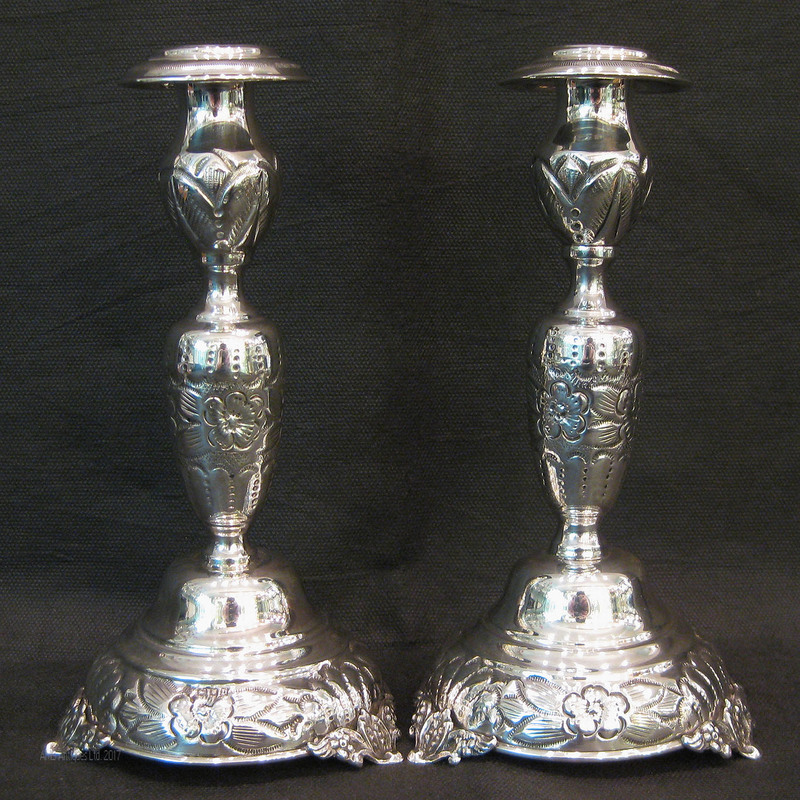 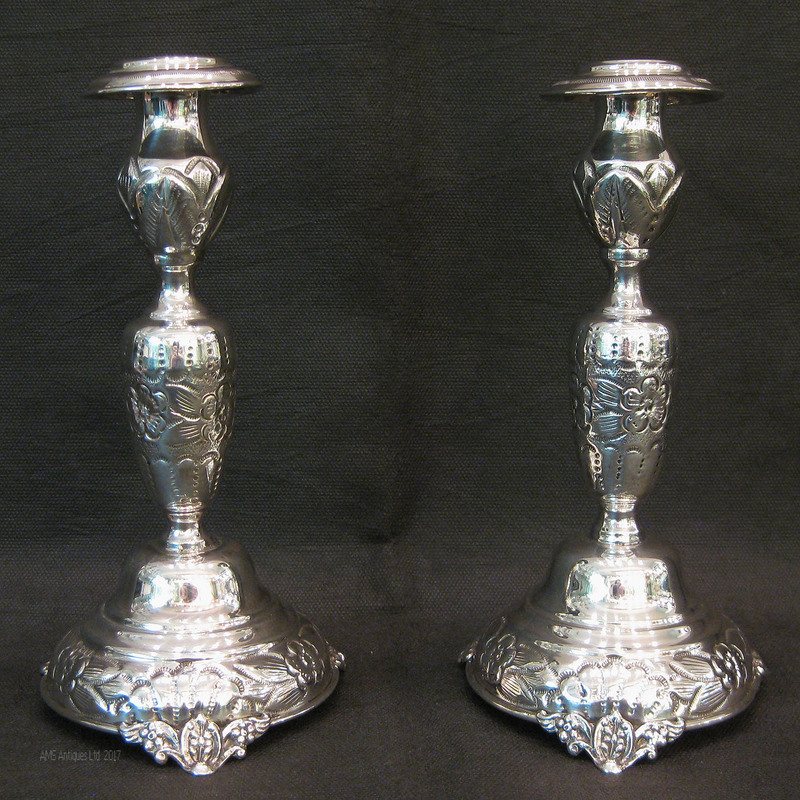 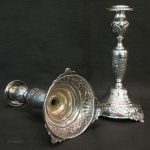 A pair of silver embossed candlesticks by Joseph Ridge & sons. Dated London 1917. 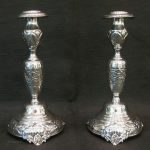 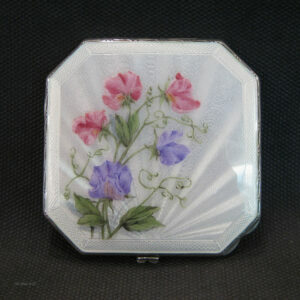 These stand 20cm tall and 10cm diameter at base. 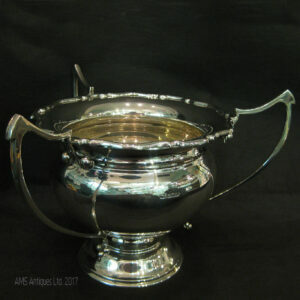 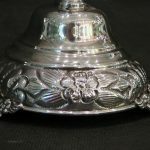 Silver 3 handled Trophy , friendship cup. 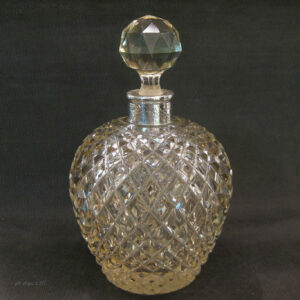 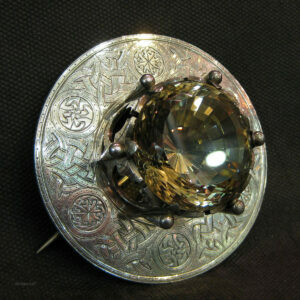 Silver topped cut crystal perfume bottle.